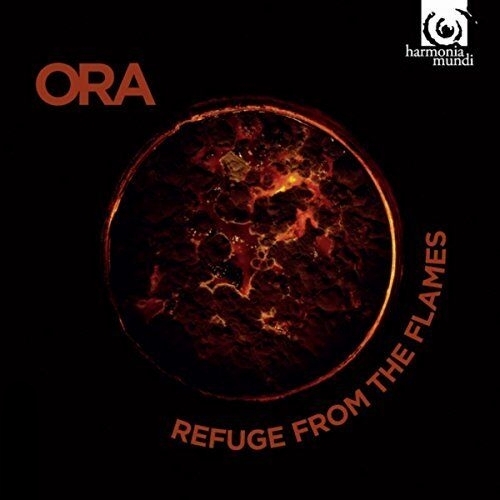 ORA's second album, Refuge from the Flames, is based around the extraordinary and divisive figure of Girolamo Savonarola. Martyr to some and heretic to others, Savonarola was an incredible figure in 15th century Italy: responsible for establishing a republic in Florence and for the infamous Bonfire of the Vanities, he wrote his most famous text of Infelix Ego as a reflection on the Miserere Mei psalm whilst he was being tortured by the Catholic Church, and shortly before his execution for heresy. Infelix Ego has been an inspiration to many composers, none less so than William Byrd, who took a substantial risk as a recusant Catholic setting such an inflammatory text in Elizabeth I’s protestant England. With the help of ORA100 we asked the award-winning Latvian composer Ēriks Ešenvalds to write a reflection on Byrd’s masterpiece and we were blown away by the music that Ēriks presented us. Below is a video explaining Ēriks' commission, or if you would like to listen to the full album, please click here! “ORA, conducted by Suzi Digby, has matched the celebrated Miserere by Allegri, with a new setting of the same text, radiant but anguished, by James MacMillan. Byrd’s heaven-sent Infelix Ego sits alongside a dense, soaring new version by Eriks Esenvalds. Performances by ORA, 18 singers strong are first rate"